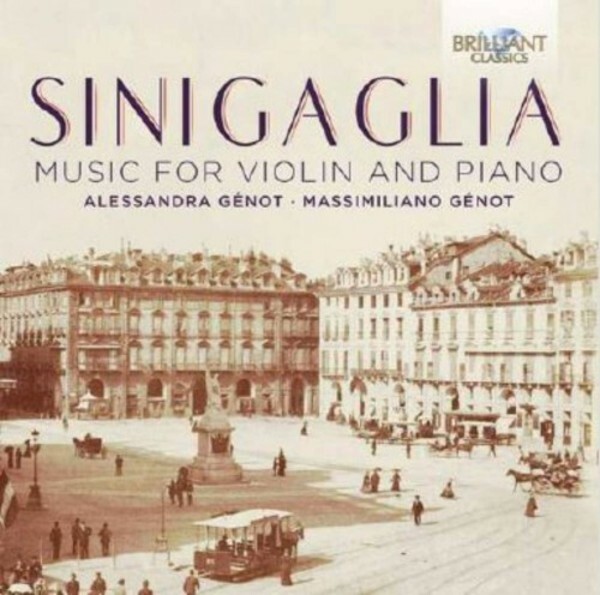 Leone Sinigaglia (1868 - 1944) was a cosmopolitan intellectual who lived in Germany and Czechoslovakia, where he formed close friendships with Johannes Brahms and Antonin Dvoř�k respectively. Of Jewish origin, he died under Nazi terror in his native Turin. He was highly respected by Mahler, F�rtw�ngler, Nikisch and Toscanini, who premiered his orchestral works in America. Sinigaglia's musical language, rooted in the German tradition of Schumann and Brahms, is surprisingly original and personal. His chamber music is a delightful find, full of subtle harmonic and melodic nuances, and occasionally inspired by the folk music of Piemontese (his native country, where he also was a respected and adventurous mountaineer). These are excellent performance by Alessandra and Massimiliano G�not, natives of Turin, like Sinigaglia. Recorded in Italy in 2009.